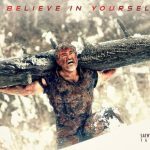 Kollywood superstar Ajith Kumar, Vivek Oberoi, Kajal Aggarwal and Akshara Haasan starrer Vivegam is running strongly at box office across the globe. Within the 4 days of release, it had grossed 100 crores worldwide and emerged as the first Tamil movie to enter in 100 crore club post GST. 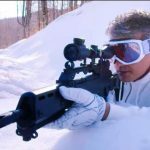 Directed by Siva, Vivegam received positive reviews from most of the critics and gained strong word of mouth. As a result, attracted excellent amount of audience throughout the extended opening weekend and still has good hold over them across it’s dominated region Tamil Nadu. Vivegam was released on Thursday and reported terrific response on the opening day. 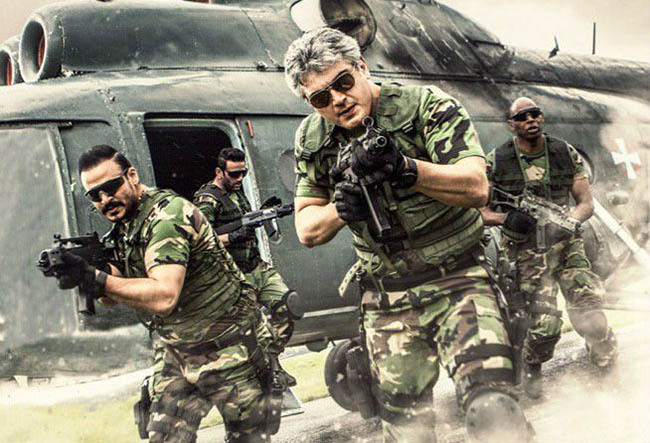 It did the business of 17.20 crores from 800 screens of Tamil Nadu and emerged as the highest opener of all time in Ajith’s career and second highest in Tamil Cinema after Rajinikanth’s Kabali (21.50 crores). From the second day, like other south Indian movies, this one too witnessed heavy drop and raked the business of 10 crores on Friday. While with decent growth over weekend, it garnered the business of 11 crores on Saturday and 11.50 crores on Sunday. After 4-days extended weekend, it’s total collection was recorded as 49.70 crores. Now Ajith Kumar’s 57th movie is running in weekdays and asusual getting lower response than weekend from audience. On Monday, it minted the amount of 6 crores with 40% of drop and 5 crores on Tuesday with further decline. On the next day i.e. Wednesday, Vivegam faced more dip and added the amount of 4.25 crores to it’s account. With this total collection of the movie after 7 days of release, has become 64.95 crores at TN box office.